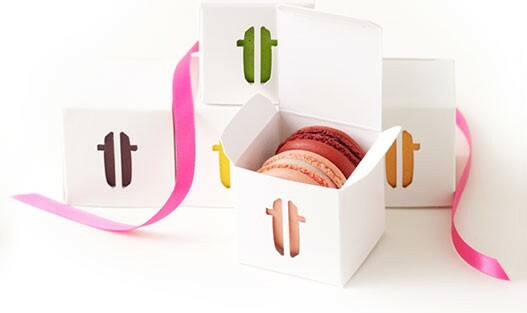 Drawing on the Paulette (now ‘lette) name and the iconic shape of the macaron, a l m project created the tt emblem and its abstraction into a side view of the macaron. 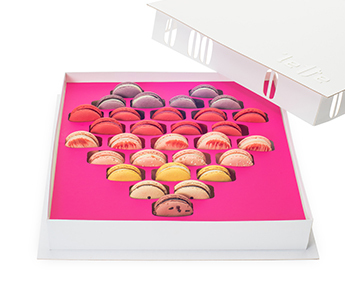 This shape was then applied to a grid, which serves as a reference system not only for the ‘lette identity, signage, and packaging, but also for the store environment. 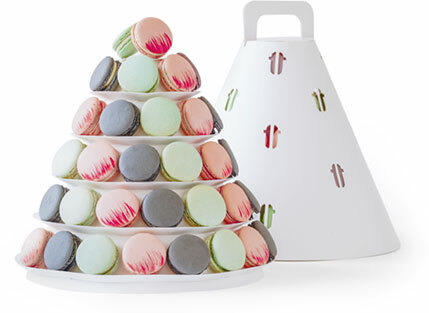 The signature ‘lette à la ronde gift box displays the macarons in an elegant pinwheel of colors, and the ‘lette boîte carrée, inspired by the classic bonbonnière, acts as a white canvas with infinite potential for personalization. 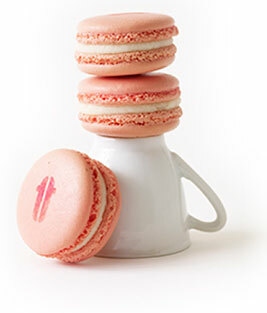 Each boîte carrée is designed to present a selection of macarons in one of three patterns: snowflake, heart and field. 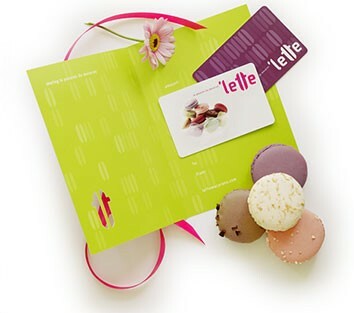 The ‘lette boîte carrée receives a Dieline Outstanding Achievements Award, 2016. 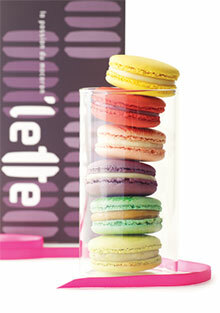 The Dieline Package Design Awards, Confectionary, Snacks, & Desserts, 2nd place, 2013. 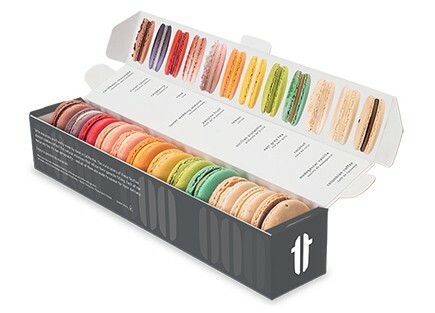 Print magazine’s Creativity & Commerce International Design Review Selection Award, 2009.